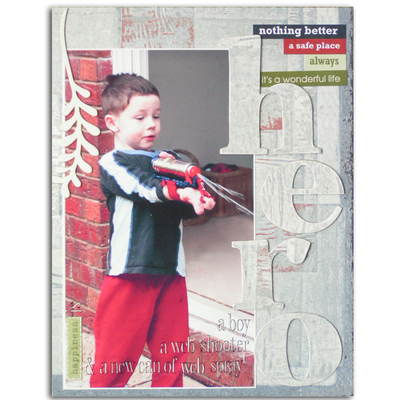 This weekend's inspiration is derived from assorted patterned papers and alphabets from Paper Loft. Combining different pattered papers is always a challenge. Here Steph uses three different patterns throughout the layout. The different shapes complement each other, and the huge floral embellishment in the middle draws focus to the photo. 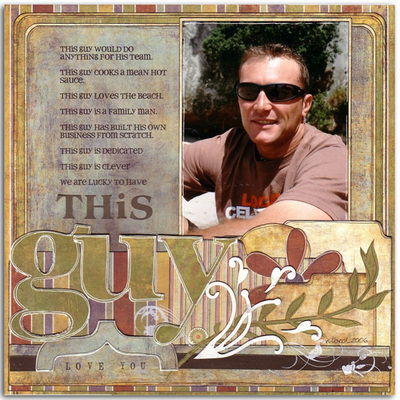 Steph has also stamped onto the back of the double sided patterned paper and used the images as embellishments to highlight the words that describe her husband. 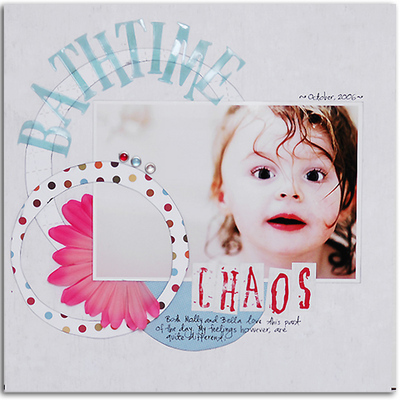 Rach loves the fun pastel greens and blues of the Flip Flops Range and decided to use a mix of them on this fun layout depicting her daughter on a slide. She arranged and printed her photos first to give the impression of a slide then selected the papers and cut them into strips forming a slide style on the page. To break up the formality of the page she added some white painted chipboard and Heidi Swapp Florals. This photo of Donna's youngest daughter is simple, but full of personality. 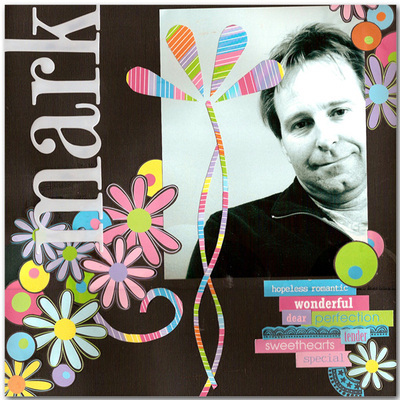 It was because of this that Donna wanted to keep the layout simple and uncluttered. These Paper Loft patterned papers were a perfect fit. Not only are the colours a great match, but the designs are simple, yet bold enough to beautifully compliment this photo. Donna was also drawn to the Paper Loft alphabet cardstock stickers as the 'chaotic', grungy font translated almost literally into the layout's title. This photo of Melissa Goodsell and her husband was taken at their first Christmas together after they were married. ohhh. 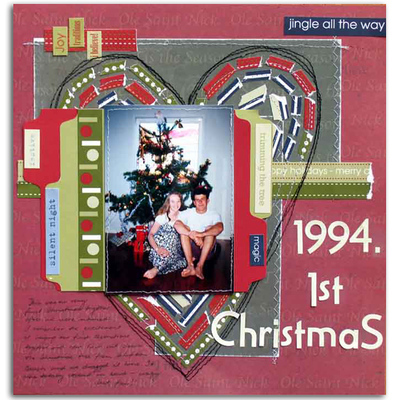 She used the Paper Loft file folders as a photo mat and added Christmas words using the Paper Loft embossed stickers. Wanting to keep with a traditional Christmas colour theme, Mel found that the Paper Loft Christmas Collection was perfect! 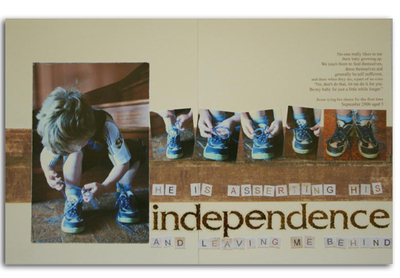 Nic Howard has built her page with layers and layers of different papers, but she hasn't used whole sheets of each. Rather, she has cut the backs out of each one and used them later on the layout. Nic has adhered matching patterned paper onto the raw chipboard monograms and sanded around the edges. She has then used a fine pen to outline. cherryArte chipboard were also covered in patterened paper, with some left raw (white) to highlight. Nic has also used the Paper Loft file folders to layer. Suz Doyle has used the 'weathered backgrounds' patterned paper by Paper Loft to quickly create a textured looking without the work! She has covered Paper Lofts chipboard monograms with the same papers to give a large title a muted 'relief' look. A few appropriate Paper Loft flip flop words and a bit of cherryArte foliage finishes it off. Caz McLachlan has used papers from the Around the World Range because the muted colours match the colours in the steps and floor. The corroded alphabet letters have a clear background and the roughness matches the texture of the floor. Caz cut each of the smaller letters that make up the sub-title from a sheet of Paper Loft's alphabet patterned paper, an economical and easy way of making a title.